Persistence of Vision is a theory which states that the human eye always retains images for a fraction of a second (around 0.04 second). This means that everything we see is a subtle blend of what is happening now and what happened a fraction of a second ago. Persistence of Vision is also thought as an illusion because some people don't under stand it. Persistence of Vision is currently thought to be caused by the phi phenomenon, the perception of continuous motion when viewing separate images in rapid succession, aided by the optical illusion of an afterimage. This is a video that shows a lot of different example of persistence of vision and how they are used. Eadweard Muybridge, also known as the 'father of motion picture', is the person who started it all off. He started it all off by making a bet that when horses gallop they left all of their legs of the floor. He wanted to prove this by going down to the race track and setting up a series of fifty cameras parallel to the race track and by connecting their electrically controlled shutters to trip wires lain across the track, he ensured each one automatically took its own picture as the horse sped by. This worked and Eadweard put the pictures in a form of a movie and this was called 'The Horse in Motion' and it was the first ever moving picture. 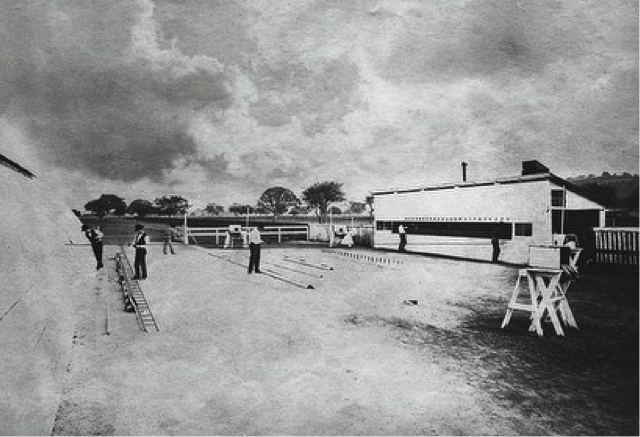 This is what the race track looked like when Eadweard Muybridge was making 'The Horse in Motion' in 1878. The Horse in Motion that Eadweard Muybridge made is a good example of persistence of vision. This is one of the first videos of what persistence of vision is but no one knew what it was then. This is a video of The Horse in Motion that Eadweard Muybridge made. Animation has been around for ages and it is used and seen every day by all over the world. Animation was even around in the 1650's this is not the animation that we see today though. So it was thought that animation was created in 1650. 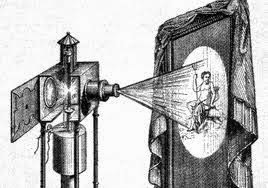 In 1650 the Magic Lantern was created and was thought to be the first projector and was considered the first stage of animation. 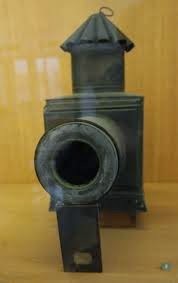 The Magic Lantern works in a similar way to the projectors that are used in the modern era, This uses a reflective mirror in front of a ray of light which shows the image on a flat surface. This technique was very famous as it lead people to believe that they were seeing the supernatural. This image shows what the Magic Lantern looks like. This images shows how the magic lantern works. A pioneer of animation is Joseph Plateau. He is a pioneer of animation because he created the Phenakistoscope. The phenakistoscope was the earliest device that was invented for animation and it was invented in 1831. The phenakistoscope is just a disc that has a lot of images on it that have been drawn onto a radii and the images would be in different areas on the disc. Then the disc would be spun and the images would be viewed by a person watching the disc spinning through the slit that is on the device. To the viewer this would look like a moving sequence, hence the illusion of animation was created. This is a video of different phenakistoscopes that people have made. It shows you what they look like when the disc spins. Another pioneer of animation is William George Horner. He is a pioneer of animation because he created the Zoetrope. The zoetrope was created in 1834 just after the phenakistoscope. The zoetrope was based around the phenakistoscope and is a spinning device where all of the images are placed on the inner side of the device. The zoetrope was designed like this so that the images don't blur together when it is spinning and so the viewer can clearly see the full animation sequence which creates the illusion of motion. This video shows the Zoetrope working and how it works. This is a video of a modren 3D lego Zoetrope. Another pioneer of 2D animation is Thomas Edison. He is a pioneer of 2D animation because he created the Kinetoscope. The Kinetoscope was created in 1889. The Kinetoscope was invented so that anyone would be able to see a moving 2D animation by looking into a peephole that was implanted on top of the device. At the time it was created the Kinetoscope was most common form of watching a film in the cinema. The Kinetoscope worked by a strip of film that contained many images this would then be put over a high speed shutter that would then display the sequence of the film. This video shows a virtual recreation of the Kinetoscope. Another animation technique is cel animation. Cel animation is a type of animation that is used in the production of cartoons or animated movies where each frame of the scene is drawn by hand. A full-length feature film produced using cel animation would often require a million or more drawings to complete. Some examples of cel animated films and cartoons are Toy Story, Looney Tunes, The Simpsons and many more greats like these. This is an image of what cel animation looks like before it goes on TV. It shows the background plate and a cel with Bugs Bunny on it. This is a video of Looney Tunes. 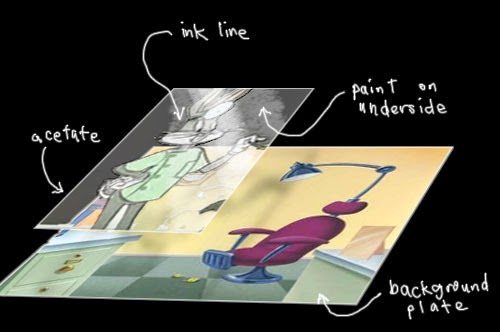 Looney Tunes was made by using the traditional 2D animation technique which is cel animation. Cut Out Animation is a very simple type of animation that anyone can do. Cut out animation is what it says it is you just simply cut out what ever you want from paper to create your characters, scence and anything esle you need to make a cut out animation. This is a video of a cut out animation that we made. We made it by cutting out pictures in magazines of a car, the Chuckle Brothers and the words To Me To You in the newspaper. We made it by putting the images on a blank pice of whit paper and moved each of the pictures bit by bit and took pictures of every movement using the camera. This is the Trailer for the South Park Movie which i got from YouTube. South Park was made in 1997 and it is still making new episodes no. South Park is made by Trey Parker and Matt Stone. South Park The animated series is not for children. In fact, its goal seems to be to offend as many as possible as it presents the adventures of Stan, Kyle, Kenny and Cartman. The show has taken on Saddam Hussein, Osama bin Laden, politicians of every stripe and self-important celebrities. Oh, and Kenny is killed in many episodes. Monty Python - The miracle of Flight was made in 1974 and it was made by Terry Gilliam. This is a cut out animation. The animation is about- Ever since Man first observed the smooth, graceful soaring of a Boeing 707, he has had an unquenchable desire to fly. Pixilation is a style of animation that is very similar to stop motion, and a lot of people will often not know the difference. While it's not incredibly important to declare pixilation in a general public sense, it has developed as a different style and medium than other stop motion work. Pixilation is stop motion animation using people instead of puppets. So instead of making an armature and photographing that, you photograph a person doing small incremental movements. The result is a surreal look at our real world. The laws of physics and the real world no longer apply since we're using animation, but since our environment and characters are real places it puts a unique twist on film making. The way you do pixilation is just like stop motion, only you need at least one extra very patient person besides the animator. Your actors hold a pose as you take a picture, they move incrementally, and then you take another picture. It's as easy as that! Pixilation has been around since early film, in its earliest forms you can see it in films that date back to the 1910s. Pixilation didn't really take off though until the 1950s with a man named Norman McLaren. This is a pixilation animation which is a stop motion animation using humans. This is a pixilation animation that I have made with Craig, Declan and Lewis. This is an example of pixilation animation which is called Animation/Pixilation Short Film and I found this on YouTube. This was created by Joe Weller. This is another example of a Pixilation Animation. This is called Neighbours and it was made by Norman McLaren and it was made in 1951. Time Lapse is denoting the photographic technique of taking a sequence of frames at set intervals to record changes that take place slowly over time. When the frames are shown at normal speed the action seems much faster. This is an example of a Time Lapse animation. This is called 24 Hours - Minecraft Time Laps and it was made by DualDGaming Extra and I found this video on YouTube. This is an other example of a Time Lapse. This is called Drawing Time Lapse: The Amazing Spider - Man Portrait, fan art and it was made by Marcello Barenghi and I found this video on YouTube. Model Based animation is is a type of animation that only uses different models of things to make the animation. The models that they use to make the animation can be anything such as clay models, Lego, Toys, Food and anything else that you want to use for your animation. This is an example of a model based animation using model clay to make it. This is called Wallace and Gromit and this is a trailer of the TV shows which I found on YouTube. Wallace and Gromit are made by Aardman Animations. This is a video of shawn the sheep which is another Stop Motion Animation. They also used clay models to make shawn the sheep. This video is a trailer of shawn the sheep movie. Shawn the sheep is also made by Aardman Animations. This is an other example of model based animation and they have used toys, action figures and dolls to make it. This is called Robot Chicken and this video is a trailer for Robot Chicken Star Wars which I found on YouTube. Robot Chicken was created by Seth Green and Matthew Senreich.